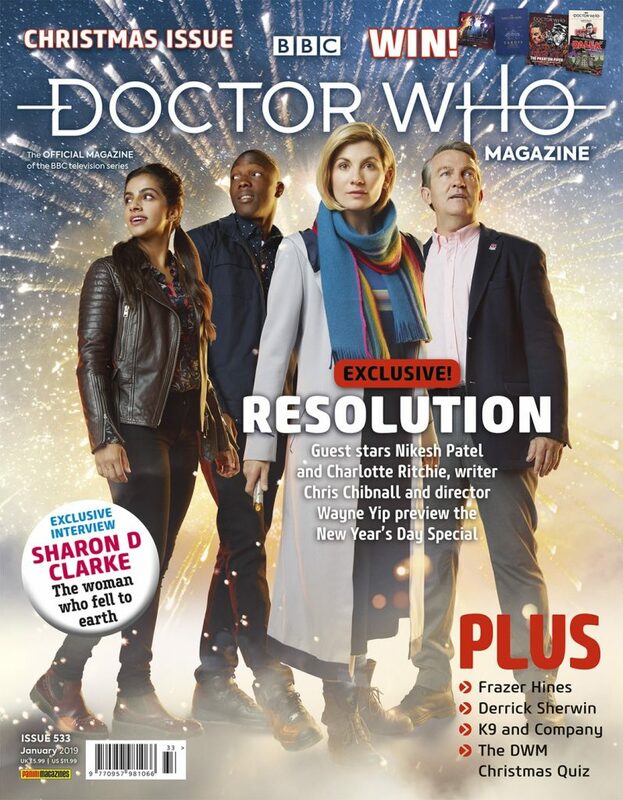 The latest issue of Doctor Who Magazine is out now, and previews the New Year’s Day special, Resolution. SHARON D CLARKE: An exclusive interview with the actress who played Grace O’Brien in the 2018 series. FRAZER HINES: Frazer pulls some crackers from DWM’s TARDIS tin. DERRICK SHERWIN: A tribute to the writer, story editor, and producer who oversaw the series’ transition from black and white into colour. Highlights from a previously unpublished interview with Derrick Sherwin. PUBLIC IMAGE: The latest in-depth report on Series 11’s ratings. THE FACT OF FICTION: 1981’s spin-off K9 and Company, starring Elisabeth Sladen as Sarah Jane Smith. 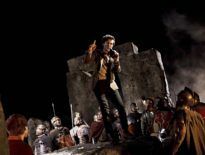 CHRISTMAS QUIZ: Put your Doctor Who knowledge to the test with the DWM Christmas Quiz. THE TIME TEAM: The Team comments on Doctor Who’s very first Christmas Day episode, 1965’s The Feast of Steven. THE WARMONGER: Part three of a new comic strip adventure featuring the Thirteenth Doctor and her friends. 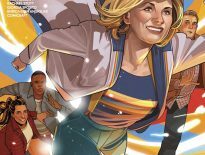 SEASON SURVEY: Share your views on the latest series of Doctor Who. EPISODE REVIEWS: The verdict on Series 11 episodes Demons of the Punjab, Kerblam!, and The Witchfinders. PLUS… A FREE double-sided poster, The Blogs of Doom, reviews, news, prize-winning competitions, and more. 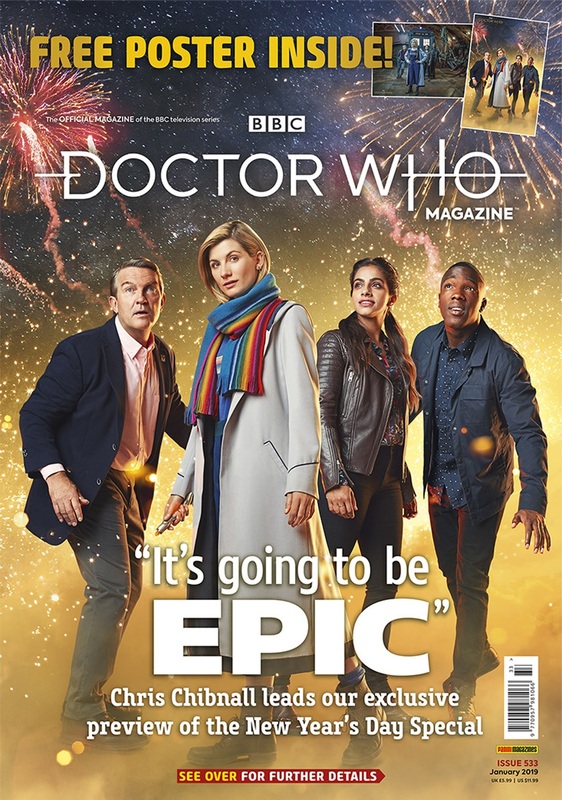 Doctor Who Magazine #533 is on sale now, price £5.99.